Everybody knows social media is the hottest thing on the web. However, while businesses know they need to be on social, many aren’t using social media to its greatest potential. The problem with social media is that it needs your full, undivided attention. Otherwise, you’re missing out on the key benefits social media has for eCommerce brands. The good news is that eCommerce brands can drive more traffic to their store by tweaking your social media practices. Spread brand awareness, get more traffic, and increase your bottom line with smart social that sells. Social media isn’t a fluffy strategy. It’s a real tool to get more returns on your marketing efforts. Sell product directly via social and build lifelong customers with clever social strategy. Other avenues like PPC and organic SEO have a place in your strategy. The thing is, social also needs to be part of your promotion strategy. Convenient Customer Service: Your customers don’t have time to call a hotline or wait half an hour for service. They want help immediately. Poor customer service will actually lose you customers. Social gives you a quick, convenient avenue to help customers while using fewer business resources. Deeper Customer Relationships: Your customers are spending more time on social media; they aren’t browsing your website any more. Meet customers where they are and have genuine, real conversations. Over time, your investment in these relationships will yield more sales. Direct Line to Purchase: Customers are more likely to share product recommendations on social media. If you’re also on social, you can open up new avenues for customers to buy without leaving Instagram. This immediacy boosts sales with little added effort. eCommerce is cutthroat. Fortunately, social media gives you an advantage over your competitors. Use it right and social will reap rewards for years to come. Here are six powerful tricks you can use to boost traffic to eCommerce with social media. You don’t need to be on every social platform. Actually, real success with social comes from diving deeply into the right platforms. Know your audience and go where they are. Invest only in the social channels that matter the most to your customers. Not sure where to start? Here are a few social avenues to explore. Remember, do what’s right for your customers, not what you think you should do. Video is one of the most engaging types of content you can share. People do love video, but live streaming is becoming even more popular. Your audience wants to engage with your brand; live streaming gives them space to do just that. Customers are much more likely to comment on live streams than other types of posts. There’s an immediacy to this social video that other formats can’t beat. Remember to announce live streams before they happen. Cross-promote the live stream a few weeks in advance through email, blogs, and social posts. This sounds intrusive at first, but directly messaging customers is an effective way to boost product sales. Best of all, you don’t need a real human to send IMs. Simply use chatbots to talk to your customers. This creates a one-on-one conversation with the customer and gives them a space to engage. Avenues like WhatsApp let you communicate efficiently with customers. Use IMs for everything from customer service to freebies and resources. Instagram Stories is a feature on Instagram that lets you post photos or videos that vanish after 24 hours. Although the feature originated on SnapChat, Instagram is the most popular Story platform. Did you know that a quarter of all Instagram Stories generate at least one direct message? That’s an awesome way to boost your eCommerce business. 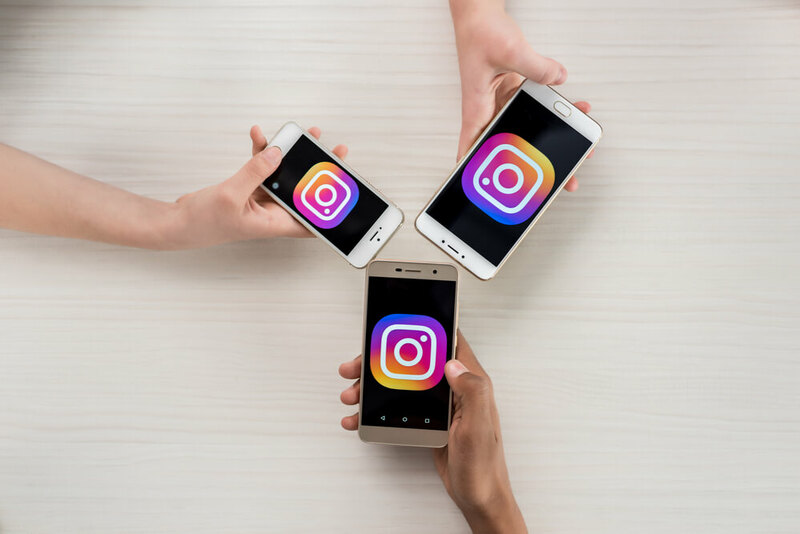 Use Instagram Stories to engage with customers. Offer polls, behind the scenes content, and freebies to maintain their interest. Most social media campaigns fail for one big reason: brands forget their users are human. Humans thrive on social relationships. To get engagement (and eCommerce sales), you need to build human relationships online. The great news is that social media was born to facilitate these relationships. Any good digital relationship starts with smart content. Split your content 80-20, sharing other people’s content 80% of the time, and yours only 20% of the time. This lets you open the floor for discussion with customers, rather than spamming their newsfeeds with your latest sales. Reply to comments and messages within 24 hours. Although that’s a reasonable response time, keep in mind that your customers want a near-instantaneous social response. For that reason, it’s important to invest in a social media expert to handle your eCommerce promotion. When you have a dedicated human behind your social media, they’re able to dive deeply and give more value to these customer relationships. Most people think social media is free. However, “free” has its limits. As an eCommerce brand, you’ll likely need to look at paid options. Organic content will only get you so far. Depending on your audience, use PPC advertising. Facebook Ads is the most popular, but Twitter, Instagram, and Pinterest also have robust PPC platforms. Lots of companies invest in paid social, and for good reason. While social media itself is great for exposure, paid social can significantly boost eCommerce. If you’re on a small budget, prioritize ad spend on one social channel. Experiment with your campaign until you get your desired results, and then move to another social platform. If you’re looking for an inexpensive way to outpace the competition, Facebook Ads and Twitter Ads are a great place to start. Your conversion rates decrease every time users visit a new page. If you want to encourage quick transactions, in-app purchases are the answer. In-app purchases allow customers to buy from you without ever leaving the social platform. For example, you can use WooCommerce or Shopify to allow your Facebook followers to shop on Facebook. Influencers are an easy and affordable way to boost your authority, trust, and sales figures. Digital shoppers trust word of mouth and referrals far more than they trust advertisements. Influencer partnerships give you access to readymade audiences poised to purchase. Social media gives eCommerce brands a leg up in a competitive space. You have the unprecedented opportunity to connect with customers in real time. Invest in social media to go full steam ahead with your eCommerce business.